State Comptroller publishes report on candidates accounts in primaries for Labor Party leadership; Gabbay's deficit: NIS 537,103. The State Comptroller, retired judge Yosef Shapira, published this afternoon a report on accounts of Labor primaries candidates from July 2017. The maximum amount of contributions each candidate was entitled to receive and the maximum amount he was entitled to spend in the first primaries was NIS 1,170,272. The maximum amount of contributions they were entitled to receive in the run-off primaries and the maximum amount they were allowed to spend in the run-off primaries was NIS 292,568. 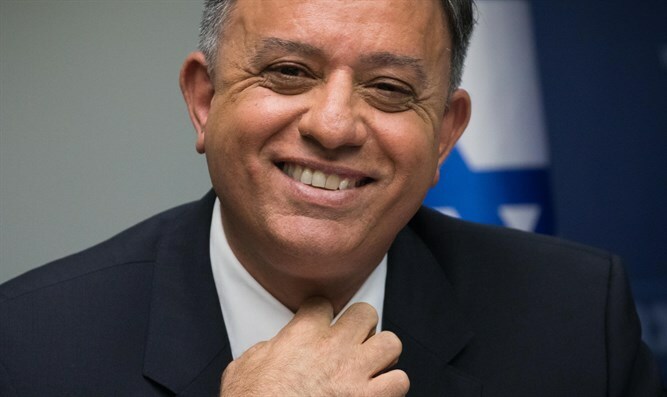 Avi Gabbay, who won the primaries, was fined NIS 90,000 by the Comptroller, after he exceeded the statutorily imposed expenditure limit in both campaigns by at least NIS 513,329. Gabbay's deficit amounted to NIS 537,103, which he covered with private contributions. Gabbay spent more than NIS 1 million. MK Yitzchak Herzog was fined NIS 60,000 by the State Comptroller. His expenses exceeded the limit by NIS 400,832. According to his reports, his deficit amounted to NIS 362,381, which he covered with private contributions. In total he spent more than NIS 415,000 out of his own pocket. Primaries candidate Dina Dayan was fined by the Comptroller for NIS 750. According to her reports, her deficit amounted to NIS 77,741. She submitted her financial report late in contravention of the law, did not operate from a bank account that was allocated to the election campaign, and did not present any evidence that could substantiate the financial reporting. Major General (Res.) Amiram Levin was fined NIS 20,000. Levin quit the contest before election day. He did not file a financial report, claiming that due to his retirement he was not required to report. Instead, he submitted an affidavit according to which his election expenses were financed from his own resources and he also submitted a written clarification that donations he received were returned to the donors and were not used. The Comptroller noted that filing the said affidavit does not exempt the duty by law to file a financial report. Former Knesset Member Erel Margalit was fined NIS 30,000. According to his reports, Margalit's deficit amounted to NIS 40,732, which he covered by private contributions, and he spent NIS 800,000 out of his pocket. The Comptroller determined that Margalit's expenses exceeded the statutorily imposed expenditure limit by at least NIS 30,526. Margalit, who did not manage his accounts according to provisions of law and State Comptroller instructions, did not reflect the full expenses for his political activity during the election period. Therefore, the financial report he submitted was incomplete and his actual election expenses exceeded the expenditure limit by a higher amount than he reports. In addition, he did not include all documentation regarding services he received as part of his political activity. In absence of such documentation, the Comptroller was unable to determine the actual amount of services he received in connection with the primary elections. The Labor Party said in response, "The Party thanks State Comptroller retired judge Yosef Shapira for the comprehensive and professional report. The Party Chairman, MKs, and the other candidates received the report and will correct all the flaws towards the next primaries."